Sure you could get Internet Explorer on your Mac through WineBottler or in Virtualbox on the Mac too, but that takes effort. What if you want a retro-throwback experience to the days of Internet Explorer 6 and all it’s goofy tendencies to muck itself up? Now you can get the real experience of IE6 right on your Mac without any hassle. All you need to do is visit a web page to get the Internet Explorer 6 Simulator right now! 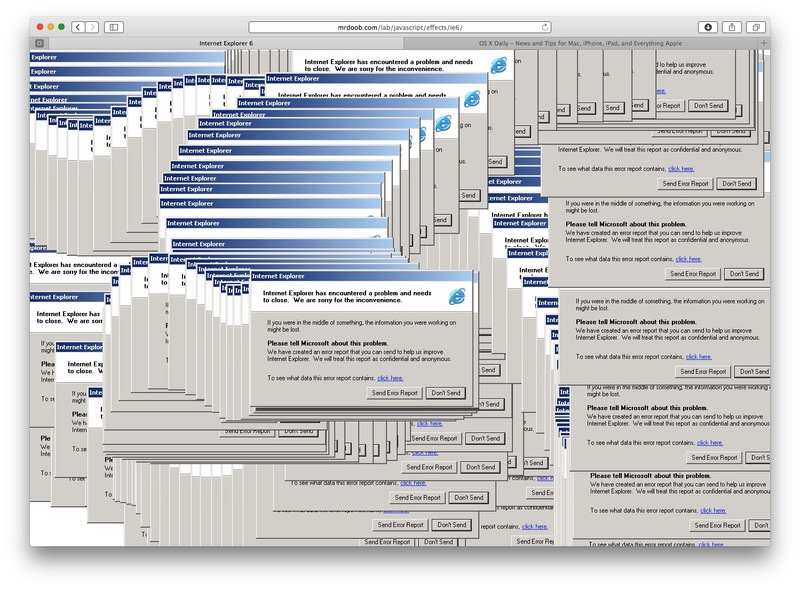 So the next time someone asks “can your Mac do this?” you can answer them, yes, yes it can! 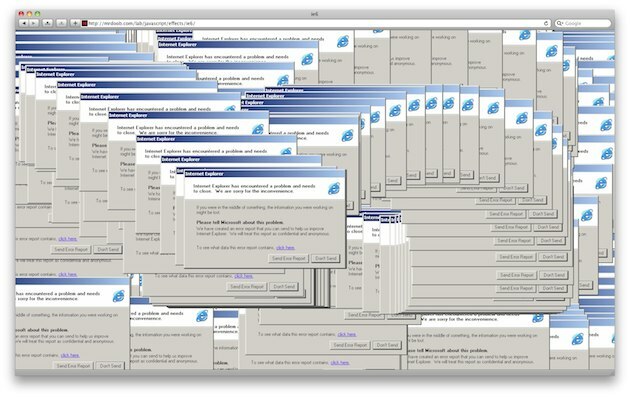 And yes this is obviously a joke, and no it’s not actually IE6 at all, it’s just the painting goofy error message alert that longtime Windows users are likely familiar with. Another funny one is the “Realistic Internet Simulator” found here but it requires Flash. On much more serious note, there are legitimate ways to run the actual IE software on a Mac. You can absolutely run Microsoft Edge in Mac OS X and you can use Internet Explorer 11 too, both are free and quite effective for web developers and users who need the IE suite but don’t have Windows anymore. @Monty;If you are using a Mac, you are using a PC. You know what he means though. Lets not launch into specifics. PC has simply come to be associated with a generic range of laptop devices usually running Windows. I think the Im a Mac and Im a PC Ads are to blame. But there is a clear distinction though…somehow, Macs are just that, Macs.